Take advantage of our fantastic Wicked exclusive, buy a third price seat at £45 and we will upgrade you to a top price seat worth £65. Must be booked by Friday 12 September 2014. Now the 10th longest-running show in the West End, and flying into its 9th spellbinding year, the multi-award-winning musical Wicked continues to astound audiences of all ages with its enthralling story, incredible songs and dazzling technical wizardry. 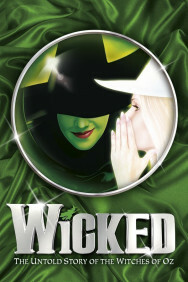 *Wicked Upgrade Offer: Buy a third price seat at face value of £45 and receive a free upgrade to a top price seat at £65 face value. Offer is valid all Monday - Thursday performances from 10 September 2014 - 23 October 2014. Offer must be booked by 12 September 2014. Subject to availability. Prices reflect the purchase price with the booking fee already included. Early booking is recommended. 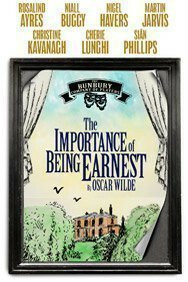 A sublime all-star cast including Nigel Havers, Martin Jarvis, Cherie Lunghi and Sian Philips breathes fresh life into Oscar Wilde's masterfully constructed farce, and transports you with wit and charm to its late 19th Century tableau of misunderstandings, mistaken identities and, of course, the invincible Lady Bracknell.